Ever wanted to automate your day to day office work to improve productivity and efficiency? We all do the same tasks over and over again, some of us keep making mistakes; this is natural because we are humans and errors can creep in due to various factors like fatigue, lack of sufficient time and stress. Intranets help bridge this gap and automate your everyday tasks to provide increased efficiency. With many out of the box intranets in the market place, why custom build your own intranet? Some of the reasons are stated below. There is no doubt that building your own intranet results in a higher cost and time compared to boxed software. But it will be precise and exact to your needs. As custom intranet developers, let us assure you that all your requirements and needs will be taken care of. We will be designing the intranet similar to a proper Information System and will be giving you the exact functional results after proper requirement study, investigation and analysis. We mostly develop using open source so it is easy for you to migrate and make changes yourself. While there will be so many ways you want your intranet to work, the system and application will depend on your business and exact needs. Intranets can be very small or extremely large. However here we list a few ways to give you ideas and inspiration. We have been busy working on the exciting Fit4Skool app over the last few months and we are so happy they are done and available for download! The iOS and Android apps compliment the website in delivering content to your fingertips. Students and teachers can log into the app and access all the content. You can view videos and content of all 3 zones – Action, Healthy Eating and Challenge. Fit4Skool wanted to make their content available to users in a wide range of devices to provide utmost convenience. Content is updated every 2 weeks and users can get the latest content in their apps. Now users can view the fitness, healthy eating and assessment videos from home, school or any other location where the internet is available. With the two apps, now users of iPhone, iPad and all Android phones and tablets can view videos comfortably. We pride ourselves in creating a simple slick interface for the app, something which is attractive yet intuitive enough for small kids to understand and use with ease. The screens are bright and colourful, options are readily accessible and basic and commonly used features are baked into the app. 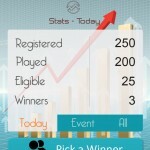 Users can also update their basic profile and view their Challenge Zone scores in their apps. This is just version 1 and we have exciting breakthrough features lined up in the next version. Fit4Skool is an organization created by teachers for students. Experienced PE teachers noticed the dropping fitness levels in kids and sought out ways to improve their physical health whether they are at school or at home. Content is delivered online through detailed videos. The site www.fit4skool.com has 3 zones namely Action Zone, Healthy Eating Zone and Challenge Zone. Action zone has videos related to activity, it is further divided into sub categories. Healthy Eating Zone has videos and content encouraging children to eat healthy. Finally the Challenge Zone are assessment activities to gauge the fitness level of kids. There are a lot of other interesting features in the site like Fit4Skool Points which are awarded to students for various tasks and activities. At the end of the school year participants receive a Fit4Skool Certificate with details of their involvement and achievements. 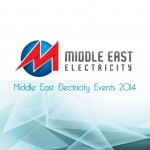 We are glad to announce that we have participated in the recently concluded Middle East Electricity (MEE) event held here in Dubai, UAE, albeit indirectly, through our ipad app! The project was interesting as well as exciting mainly because we had so little time to prepare for it. We had less than two weeks and we had to design, develop, test and be ready for the event live on the floor! Before we proceed, if you don’t know what mobile app development we are taking about then please read our earlier post on Mobile App development in Dubai. There we gave a brief summary about mobile applications and the various ways you can apply to your business or organization. For us this was a classic iPad app development that very little turnaround time and no room for mistakes. Not delivering on time was not an option because the event date was fixed. Of course it was very demanding and challenging, and we had to pull out all stops to make it happen. For example there was no time for an Apple review so we had to tie the build to the iPad minis. Then again most of the devices were having an older version of iOS so we went ahead and upgraded each one of those units. Our client Scientechnic had a busy time and the MEE event was very successful for them with many hundreds of quiz participants. Scientechnic held multiple draws and awarded many iPad minis to the winners. As experts in mobile application development here in Dubai, this high standard of delivering as committed is expected of us, and we are of course very grateful to our client who laid down a crystal clear picture of their needs so that there was no ambiguity in the requirement, which was critical to the project’s success as we had very little time to prepare. Overall it was a fun project, all of us had a great time, and were successful in delivering our products. We look forward to many more such programming achievements to underline our commitment towards developing awesome apps for our amazing clients and delivering on time. We all want to maximize our results by being different, to stand out from the crowd and deliver outstanding performance. Apps can help you do that. You can create apps to make a difference. For example, DHL was recently voted by its staff to be the best place to work in the UAE. One specific reason was that they had an app to make hr communication easier and smoother. This is just one instance of how useful an app can be. You can create apps to improve sales, marketing, branding, advertising, staff, communication, customer service and much more! If you have any requirement for an iPhone or Android app then feel free to drop us a line here and we would gladly give you a free quote or meet up to drum up ideas. In fact there are many places for starting guest posting. Like join your local community and become a member and start the discussion, search for niche blogs and post your ideas on the others article and give your project details. Guest Blogging work is the bloggers work which is same as a social networking’s like communicating with other people in the same blogosphere so that we’ll get more traffic for our blogs. We have two ways of guest blogging…. 1. Guest Blogging in our own Blog: When others writes a post for you to publish on your own blog. That blogger can usually contact you and rise to provide a guest post to you, otherwise you will contact a blogger you wish and request a guest post. 2. Guest Blogging in other’s Blog: When you write a guest post to be revealed on another blogger’s blog. Typically, you contact a blogger whose blog you relish and ask if you’ll be able to offer a guest post contribution. But today according to Google’s Matt Cutts Guest blogging became spam if done regularly…. Google’s Matt Cutts made it clear that guest blogging for seo is dead. If you plan to use guest posts to increase the number of links to your website, you should reconsider your strategy. If you’re guest blogging as the simplest way to achieve links in 2014, you must most likely stop. Why? Over time it’s become more and more spammy, and if you’re doing plenty of guest blogging then you’re hanging out with very dangerous company.Back in the old days, guest blogging was as powerful weapon, very similar to obtaining an in-demand, revered author to write down the introduction of your book. It’s not that approach to any extent further. In this case we got many things which are occurred as spam but we not stopped doing these things like doing a lot of keyword targeting, image optimization, link building and so on. If an SEO tactic works, then it will get more and more spammy with time; there is no spam-proof SEO technique. Every technique has to adapt over time with the competitive landscape and the algorithm. Likewise, marketers always need to focus on long-view quality over short-term effectiveness, regardless of the technique. But just because spammers start doing something doesn’t mean you have to stop. Google can’t algorithmically differentiate between guest blogs and other kinds of articles. Blogs and websites aren’t legally bound to disclose that anything they publish is a guest post or not a guest post, and in some cases it’s just a matter of perspective. Think about it – a lot of the content that appears on high-quality news sites like the New York Times, or extremely popular, high-ranking sites, like the Huffington Post or Buzzfeed, is created by freelancers. If you author a bylined article for a site that you don’t own or that doesn’t employ you full-time, is that a guest post? The categories are murky because we only think of it as “guest blogging” within the SEO industry; it’s not a term from the world of journalism. There’s no foolproof way for Google to determine the motives of any given author, whether they wrote and published something for links, exposure, money, or pure altruism. Still, if you’re worried that Google is going to crack down on guest blogging, there are a few things you can do. I. If you find a site that says “we’ll publish anything” reputation, stay away.Don’t do any guest posting for that sites. II . Build good Relationship by communicating through your ideas not the links for your site. So again, if you’re worried: Just don’t put links in your guest posts. “So why am I guest blogging?” you ask? Links and referral traffic are two of the big incentives for guest blogging, but without those, you still get brand exposure. If you write a high quality piece of content and want to get it in front of a bigger or different audience than you have on your own site or blog, guest blogging is a way to do that. You can attach your name and your business’s name to that content, even if you don’t include any links back to your site. Or, ask the publisher to no follow link. Remember, Wikipedia links are no-follow, but can still drive a lot of valuable traffic. If you are reading this page, it means that you are well aware of the great benefits of creating mobile apps for your business or brand, and need app developers to help realize your requirement. If you are still unsure of why you should create your own mobile apps, then you might also want to read our earlier post on iPhone app development. You are an entrepreneur, marketing manager or individual who is tech savvy and knows that creating mobile apps will propel your business towards the future and be as competitive as possible. Your competition will definitely be thinking of creating their apps as it is the future. It is extremely important to be one step ahead of competition and become the market leader. 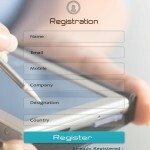 An engaging, user friendly mobile app could be the answer. So what are the different types of apps I should target? There are so many platforms out there, and resources are limited. For an average enterprise, creating and maintaining apps on all platforms is expensive, time consuming and impractical. Our advice? We would suggest that you build your apps on two major platforms – iOS and android. Together they command around 85% of the smartphone market. Add tablets to the mix and you know that these are the two systems you should be targeting.iOS would cover iPhones and iPads and Android would cover all the Android smartphones and tablets like the ones from Samsung, HTC, Motorola and many other manufacturers. Now that you want to proceed and build your own apps, you will require experienced and talented app developers in dubai. We are extremely glad to step in and partner with you to convert your ideas into solid reality. Our iOS developers and android developers are extremely creative, innovative and use the latest technologies to provide a smooth user experience for your apps. It is really easy to do business with us. Just send us an email or contact us and we will come meet you, understand your requirements and draft a proposal usually within two working days. We know you require your apps urgently and would like to get started as soon as possible, and we respect your need for speed. After an initial proposal, if things go well we get cracking with your app. Depending on the scope of work your app can be ready any time between one week to 2 months! Work with experienced app developers, get your ideas into the market, into mobile hands where people would use them to find you and interact with your company or brand. There is probably an urgent requirement for your business, there are hundreds of thousands of users looking for your business or service. Be there where and when they need you. We are in the mobile era and you have come to the perfect place for developing your mobile application. We will give our inputs from experience, improve designs you may have, use latest technology you may be unaware of, and contribute in other ways in creating a super successful app! Contact us today. We have dedicated iOS app developers whose jobs are to just develop on iOS and no other platform. Our iOS team is highly specialized in the system and does not mix or do multi tasking. They are extremely focussed and therefore knows the best ways to build ios apps in terms of design, speed and utility. Our Android app developers, similar to their iOS counterparts, develop apps just for the Android platform. They don’t dilute their work by dabbing in other platforms. For best android developers, you have come to the right place. Contact us, let’s hear your requirements and experience our efficiency! So why should you build an iPhone app for your business? 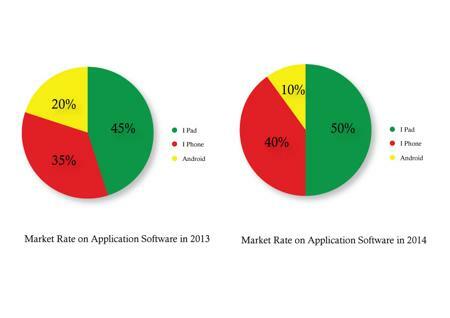 Apple insider has reported in March 2013 that iOS is gobbling up the enterprise market share from android. iPhone cannot be ignored both in the enterprise as well as the consumer segments any more. Although that study was done for a segment of the US and European market, we are sure it will extend to the UAE in the near future as well. Your iphone app is going to be very important for your business. Contact us today for a free quote. Our expert iPhone developers will give you a call to assess your requirements and see the best way to help push your business to this new group of influential mobile users. With More and more people using iPhone, the demand of apps have been exponential, but a few local businesses have been ready for it. Do not be left behind, leverage the power of iPhone apps today! Contact us to get different ideas of what an iPhone app what we can do for your business. Getting your iphone app mean to get future ready. Don’t sit idel while the world zooms by. We believe creating an iPhone app for your business is absolutely essential today. Looking at the trend, you will definitely need one in the near future, then why wait? Contact us today to create your own iPhone app and leap ahead of your competition! Our rapid iPhone development in Dubai will churn out new ideas and create cool apps for your business and brand. iPhone and iPad are here to stay. You cannot afford to miss this opportunity today, Contact us and let’s sit down to discuss business. iPhone app development is one of our services. You should also create mobile apps for your business. With an all round mobile strategy your business will be more competitive than ever! The world is already mobile. Mobile usage is catching up with desktop usage very rapidly, are you ready for it? 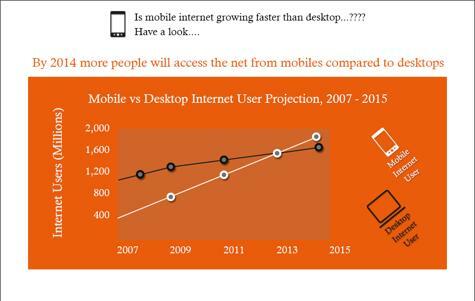 It is predicted that mobile will overtake the desktop in 2014. That means that mobile will be the dominant force of the future. However, not many businesses and brands are leveraging the power of mobile. Some companies were the first movers and have cemented their place, but there is a huge gap between demand and supply. Don’t be left standing on the wrong foot. Build your mobile app today and power into the future. Our experienced mobile app developers will study your requirements and propose amazing solutions to beat competition. Create an awesome mobile app with us, improve your business and brand and make it future ready. Contact us today for a free quote. Let us take a very simple example. You run a restaurant, are very busy and your restaurant is doing good business. You may have a lot of factors going for you including good food, location, service and maybe accessible to users via the desktop from your website. But with the shift of users from desktop to mobile, more and more mobile users are unable to find you. They are looking for your kind of food, but are not able to locate you or your services in their mobile phones while the are on the move. Instead, your competitors have apps available which users can download easily and find out everything about their restaurant including location, map and photos of food. it is a simple decision for the user, they choose that restaurant over yours, simply because they couldn’t get more information about your restaurant when they needed it. Over time you find your business reducing with no immediate clue of the reason. With mobile apps, your logo stays on the user’s mobile all the time. It allows your products and services to be readily available to users when ever they want, where ever they want. Mobile apps are custom created applications designed specifically to run on different screen sizes of different mobile phones. We are expert mobile application development in dubai, we take care of your entire mobile app development process for you. Just give us your requirements, sit back and relax while we take over. We will study what you need, come up with ideas that will engage your customers, enhance your brand and get you more potential business. Smartphone and tablet usage is shooting up at an incredible rate. More and more users go online using their smartphones and tablets. Contact us today to get a quote for your mobile website. Most websites aren’t optimized for smartphones and tablets. The site is too big to be viewed comfortably in the smartphone. Here is where we enter the picture. We optimize your website, narrow it down to very simple options, easy to view web pages especially for mobiles. A good user experience is critical for your mobile website. That way your users can easily visit your website using their smartphone when they are on the move and get the information they need, be it your contact details, location map or your main products and services. Of course we have to compromise a lot. We won’t have fancy animation. We also cannot have a full fledged website and tons of pages. But these are not required to be viewed on the smartphone. The mobile website should be a neat summary of your website, allowing users to access your most important content very quickly. Smartphone, mobile and tablet internet usage is surging as devices get cheaper, more powerful and functional. Smartphones have become all in one devices – your calendar, alarm system, email client, internet browser, social media client, camera and so much more. Do not miss out on the smartphone users. Contact us today to get a quote for your mobile website. We also offer standard website designers dubai services plus ecommerce websites, please contact us for more info. Nowadays everyone needs a website. It is the first thing people look for in meetings. People visit websites to get an idea of your company, your network, how big you are, what work you can do and how reliable you are. A website is a front face for you and your company. Most clients don’t even meet their business partners or suppliers. They transact over the internet through websites and other channels. We believe your website can bring you business. We believe your website should speak loudly about your products, services and achievements. And we can help you do that. Welcome to Webdesigns ME, Professional website designers dubai. We take the ifs and buts out of website development. You don’t even need to know the ABCs of website development or what is good for your website. We give you the full picture, make everything from scratch. We just need to talk with you to understand your requirements, get to know your opinions, learn about your industry, research your competitors and then make a fiercely competitive top of the line website for you. All our jobs are tailor made for each client. We understand no two clients are the same, each is unique. Therefore our website designs are never similar, they always revolve around you. No need to worry about technology. No need to get lost into the every changing world of tech jargons. We simplify things for you. And you get the ultimate professional website you have been looking for! Send us an enquiry today to take advantage of our professional services. Need to have a rough idea? Check out our web design packages. We have been designing, developing, maintaining and adding new features for our customers’ websites for years. From stunning simple looks to serious business high traffic websites we have the talent and capability to handle it all. You need a highly customized functional website with lots of features? We can do it. Checkout out our Gobble Food website to see how we have created unique features; bring your website to life with your own style, own personality and a totally different functionality.